Can I Drive Through Canada to Alaska If I Have a DUI? Many young Americans find employment in Alaska but are unable to drive their car or truck through Canada after a DWI or criminal conviction. While it is possible to simply fly to or from Alaska and have your vehicle shipped across Canada, many people are interested in driving through Canada between Alaska and mainland USA so that they can transport pets or have their vehicle packed full of important belongings. If you have been charged with driving under the influence of drugs or alcohol, however, you may need special Government permission in order to pass the Canada Border Services Agency (CBSA) screening process and successfully enter Canada. 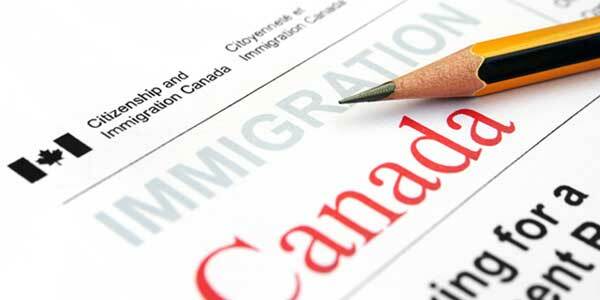 Without this Government permission, which comes in the form of a Temporary Resident Permit or Criminal Rehabilitation, you could be denied entry at the border for criminal inadmissibility. There are also some cities in Alaska, such as Juneau, which are only accessible by land if you drive through Canada. If you live or work in Juneau AK and are criminally inadmissible to Canada because of a driving while intoxicated arrest or conviction, you will still need a Temporary Resident Permit or Rehabilitation to clear your entry at the border even though you have no other option other than transporting your vehicle via ferry. If you attempt to travel across Canada while criminally inadmissible, even just the small distance between the Southeast Alaska border and the Alaska Highway border, you risk being turned away at the border by Canadian immigration authorities. The good news is Canadian immigration officials may consider driving across Canada to get from mainland USA to Alaska as a valid reason to issue a TRP, so the success rate among applicants hoping to cross the border for this reason can be better than for simple vacation purposes. If a person is moving to Alaska, or moving back to the mainland US from Alaska, it is understandable why they would prefer to drive rather than fly, and hence why they would need to enter Canada. Taking the ferry to Alaska can be extremely expensive, especially if you are towing a trailer. In addition to impaired driving, criminal offenses such as drug possession, domestic violence, theft, and assault can also result in problems when attempting to drive through Canada to or from Anchorage. To learn more about crossing the border into Canada with a DUI in order to drive to or from Alaska, phone us now for a free consultation! Constructed during World War two to better connect Alaska with mainland United States, the Alcan Highway is one of the most beautiful drives in North America. Attempting to drive the Alaska highway with a criminal background can be difficult, however, as criminal inadmissibility can result in an American being denied entry at the Canadian border. While there is always the option of taking the Alaska Ferry, it can cost thousands of dollars one-way especially if you are towing a trailer. Consequently, many people prefer to drive the Alcan Highway to move their belongings between Alaska and the "Lower 48". While a Temporary Resident Permit (TRP) can be highly effective for a single trip, if you plan to drive the Alcan more than once in the future permanently overcoming your inadmissibility may be best. Once a person is approved for Criminal Rehabilitation, he or she can drive between Alaska and contiguous United States with no additional paperwork required for each road trip.